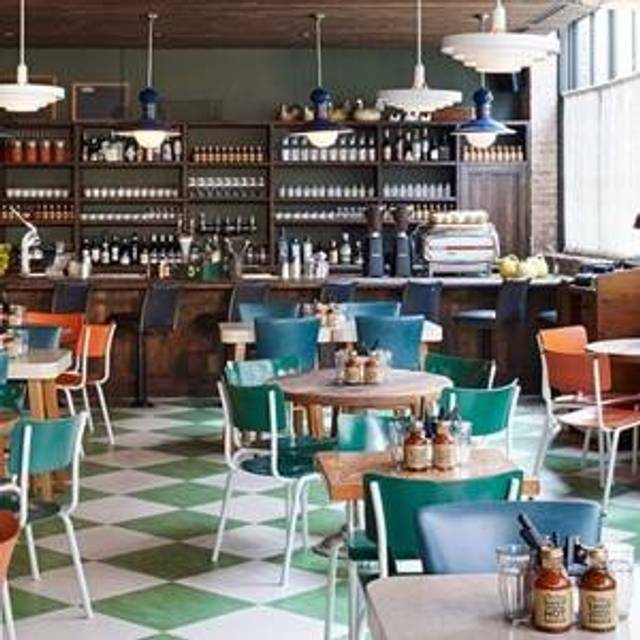 A short strut from Chicago’s Restaurant Row, Chicken and Farm Shop serves up free-range Amish birds, which are marinated overnight, steamed and then cooked over charcoal on a special rotisserie. Head Chef James Garron uses the same birds to whip up comfort classics like chicken and waffles and a fried chicken sandwich. 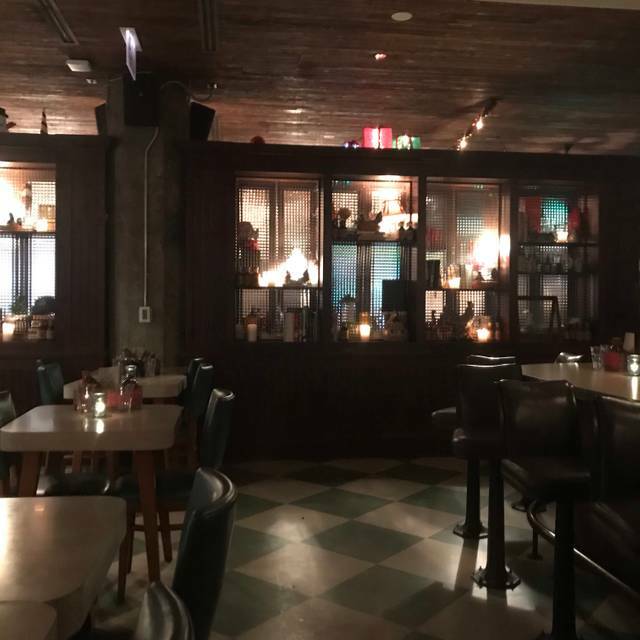 In a space taking inspiration from 1950s American general stores, guests enjoy a fun, casual setting while dining on indulgent eats and a rare taste of rotisserie in Chicago. Satisfy a mid-afternoon hankering for beer and beef at our Dirty Happy Hour. Every weekday from 2pm to 5pm, dirty burgers, dirty cop out (veggie) burgers and draft beers are $5 each. The food at chicken shop is delicious. Everyone at our table was satisfied. The service on the other hand, wasn’t the best. We were immediately greeted and orders taken right when we sat down which was nice, but we didn’t see much of our waiter the rest of the night. There were six of us friends getting together for drinks and dinner but once we ordered the first round the server never came back to offer more drinks. We sat at the table for almost three hours and never got his attention until it was time for the bill. When he said “can I get you guys another drink” it was too late. So delicious no complaints at all from me! Casual atmosphere with great food. Service was good. Chicken and waffles were excellent, the buffalo chicken sandwich was decent but not great. It’s fine, I guess, but nothing particularly outstanding. 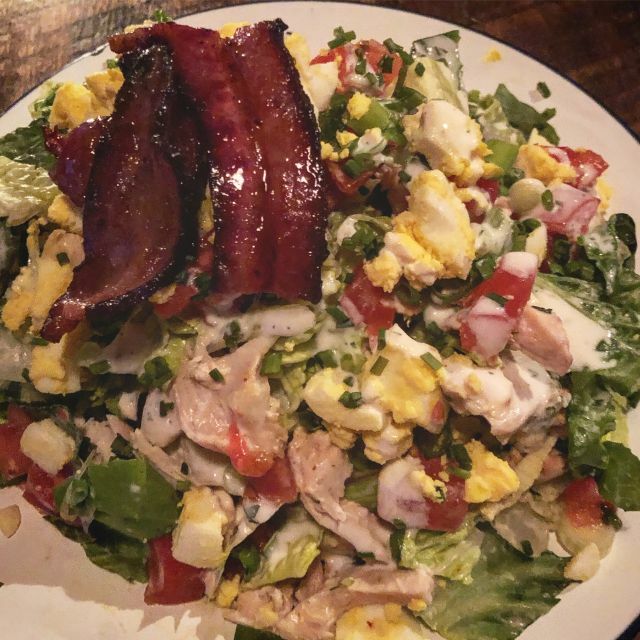 I had the chicken cobb and it was flavorless. It had rotisserie chicken added but it’s not really fun to be digging bones out of your mouth unexpectedly. Tomatoes were mealy, and the two pieces of bacon were hard to chop fine on the plate and the dish really needed that extra texture. My dining partners also didn’t rave about their food. I’d skip it. It’s loud and nothing great. 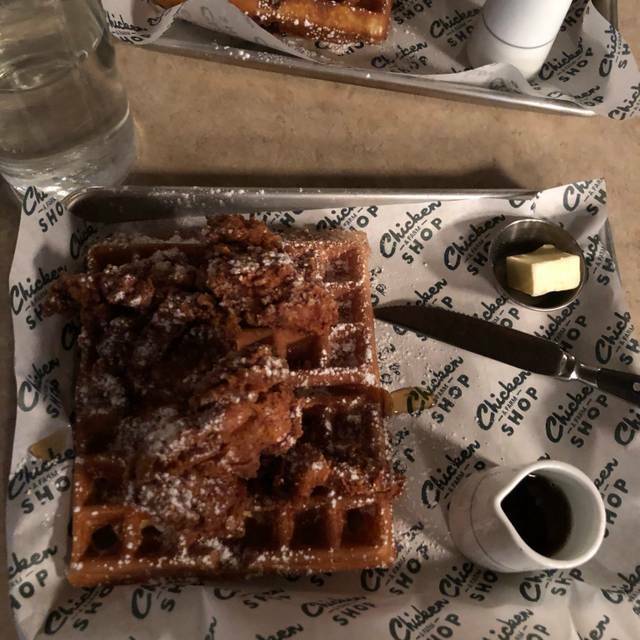 Loved the chicken and waffle. Cocktails leaves much to be desired. Awesome chicken and waffles . A little loud and close quarters but great food at reasonable price, especially considering the neighborhood. Food was overpriced and greasy. No flavor. Great vibe. Cool intimate space. Fast service and delicious food. This was a great find for our group of 5! Amazing food at a very fair price! We were first table in for the day, so getting our food was a little slow, but well worth the wait. And it allowed us to have some amazing coffee followed by a drink! Awesome chicken sandwiches, awesome service, awesome ambiance, and awesome valet parkers who held umbrellas over us on a rainy March day! Thank you!! The food would have been perfect, but it wasn’t hot. Service was good. I would go back. So good! Best chicken in the city (said my SO who has tried it all), they do spicy and sweet accompaniment very well. Service was great. This is a go to brunch spot for us. Always awesome. We went out for the movie trivia show, which was a lot of fun. 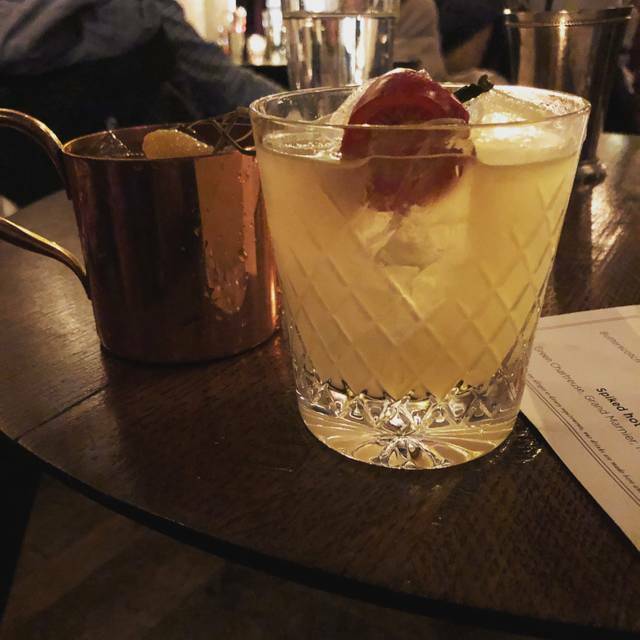 The drinks, especially cocktails, were superb and the chicken sandwich was so delicious. We ate the chicken the waffles all in one sitting. Would definitely come back! Limited menu. Very goode drink menu. Food was excellent. Goode assortment of tasty vegetables to chose from. Overall our experience was great with a couple of issues that would be easy for the restaurant to correct. The issues relate the volume of the music and the fries! First, couldn't talk at all because the music was blaring and I mean blaring!! Not just loud but out of control loud. The host said that was the policy per management. Plus the speaker was broken so there was a terrible twang to the beat. Second, food was great except for the soggy french fries. This was a return visit, and will return again for sure. Fun atmosphere and good food. 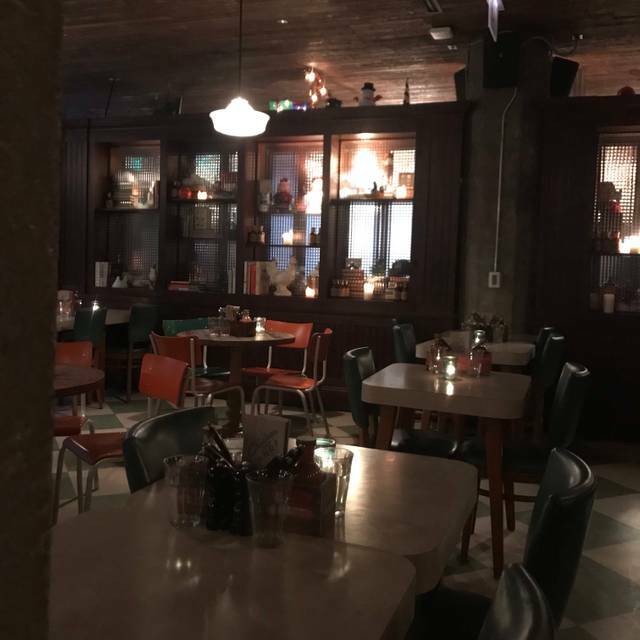 However, the service was a bit slow until the end when the meal was over, which is not fully attributable to the restaurant as much as it is to that particular server. Very courteous but perhaps just newer. As for value, West Loop is generally expensive so the sides were not cheap, which was expected. Will return because the food was good! Excellent Chicken. I had the nuggets and my boyfriend had a half chicken with Brussels sprouts and Mac and cheese . All of it was delicious. I highly recommend! Plus you’re in the Soho house so grabbing a drink in the lobby is pretty fab too! Great, as always! Has fast become a favorite, and their chicken and waffles are always outstanding. Tasty. Don’t think. Just go eat here and try everything. Went around 5pm. Aside from my friend and I, there were only three other parties of two. Yet our service was extremely slow. It was disappointing. If it was busier then it’s understandable but it was pretty empty. Aside from service, the food was great. Food is always outstanding, but the same to be said with staffing. They seem to always be understaffed! It's frustrating and while you try to be patient it really affects your dining experience. I believe our waiter was responsible for ALL the table at lunch until another server came and the host/manager assisted. Otherwise, the food is great. 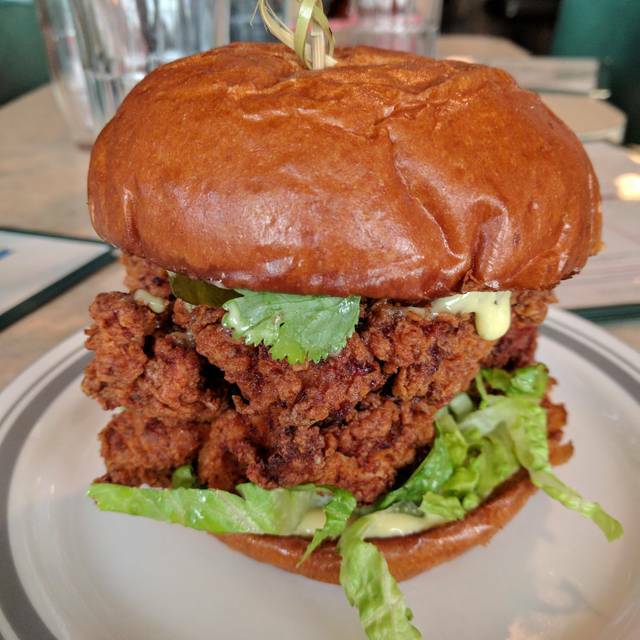 While it's tempting to get the fried chicken sandwich especially when you see one come out you will salivate - I'd recommend the quarter chicken - seriously moist, juicy, right about of spice - you won't be disappointed!! Impressed! Food was delicious- large (not huge) portion sizes but more than I anticipated. Waiter was sweet! Service was lacking, waiter didn’t listen to our order and ended up serving wrong drink order. He acted as though we were bothering him since he never came to check on us. Great food this restaurant reminds me of good ole southern cooking which is hard to find in Chicago. Food was delicious. Unfortunately the service was less than standard. While being seated it felt more like we were a problem than a customer. We ordered two orders of fries, the first came way before any of our other food and the second came with our entrees. We sat close enough we were able to see our food sitting in the out take area for long enough the first order of fries were room temperature by the time we received them. Pretty disappointing first time experience and with so many other places to try in Chicago I can honestly say we won't recommend this place to anyone. Food preparation & quality was below average for the price point. I will not return. Came to Chicken and Farm shop for my birthday. I had the Fried Chicken Sandwich and it is huge. To be honest, you don't really need any sides because the sandwich is filling on it's own, but the collard greens and cornbread are pretty good. Because it was my birthday, the server brought my table a brownie a la mode. I had a great time and would definitely recommend!! Our food arrived exactly 60 minutes after we sat down. They were genuinely sorry about it (backed up in the kitchen) and didn't charge us. Fun, hidden gem. Food was FAB, service was friendly. Def going back. Super cosey venue with excellent and attentive staff, the Chicken Sandwich is super duper and huge, cocktails good also. My boyfriend and I came by for my birthday dinner. 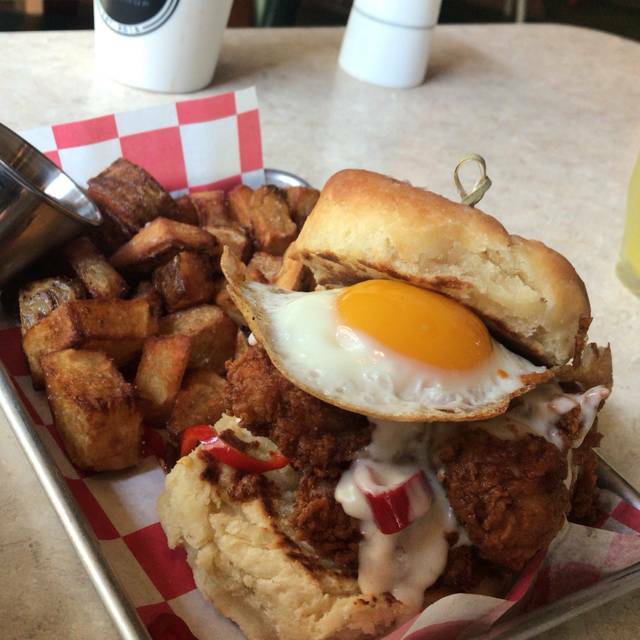 It was our first visit and have seen so many posts on IG raving about the fried chicken sandwich. We ordered the Hot 'n Smokey chicken wings, buffalo fried chicken sandwich, French fries, and coleslaw. My only complaint would be the coleslaw lacked in flavor 'cause it was quite bland. Other than that, everything was delicious. 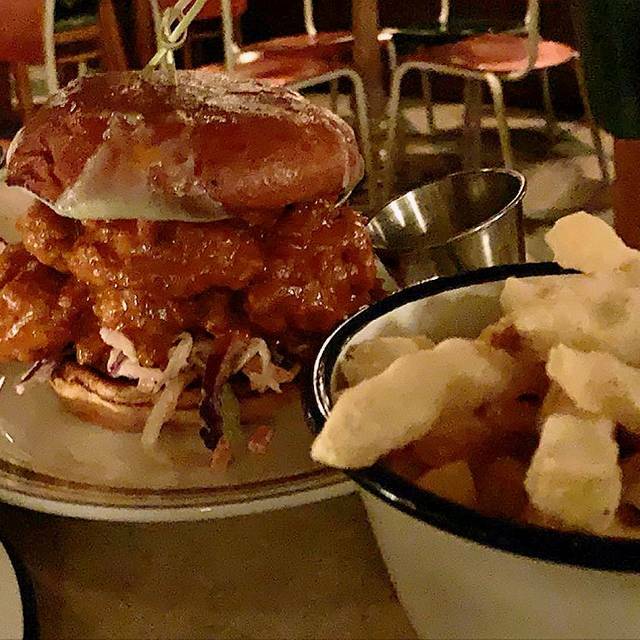 We'll definitely be coming back for the chicken, especially the fried chicken sandwich. We also very much enjoyed the ambiance; from the kitchen to the bar to the dining area and even to the bathroom! The atmosphere was great. Thank you for the wonderful dinner. Went here for a colleagues birthday. The food was amazing!! We couldn’t believe how much was included as part of a lunch special where most places usually give you smaller portions. We had 10 people and they were very accommodating with splitting the check. Such a cool atmosphere too!! Such a cute and quaint lil place! Perfect brunch spot. Everyone was more than pleased with their dish and the bloody Mary’s were spot on! I can’t wait to return.